This year the show will be on September 21 at Cleveland State Community College’s Gymnasium from 10:00 am to 5:00 pm. If you are interested becoming a vendor at the show please click HERE for more details. Cleveland Geekster is excited to have brought so many great vendors to Cleveland TN over the last 5 years. We hope to continue that this year. If you would like to be a vendor please reach out to us at clevelandgeekster@gmail.com or message us on Facebook. Cleveland Geekster is a family friendly show, so we ask that you not have anything that could be offensive to that audience. We are primarily a toy and comic show, but also have several artists who attend. This is our 5th year putting on the show. Our numbers have increased each year we have put the show on. in 2018 we had over 700 attendees. Each table is 6 foot and we guarantee at least 4 feet behind them, but you will probably have more. Each table comes with 2 chairs. Load in will begin at 7:00 am on September 21. There will be signs directing you to the correct location. Once you load in, we ask that you promptly move your vehicle to the parking area. 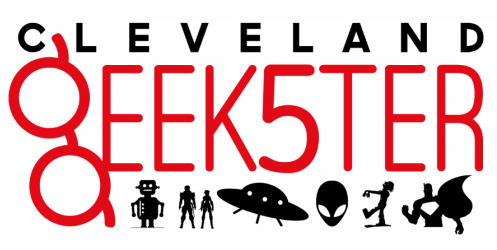 Cleveland Geekster is a locally run toy, comic & pop culture show.